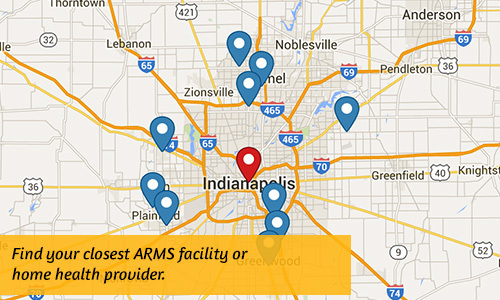 At ARMS, our goal is to help keep assisted living residents happy, healthy and active. Many seniors benefit from an assisted living lifestyle where they can remain largely independent and spend more time enjoying life with family and friends. ARMS wants to support assisted living residents by giving them more opportunities to do all of the things they love! ARMS medical providers come directly to the assisted living facility to offer ongoing primary care – no transportation is necessary! For residents who need the care of a specialist, ARMS providers coordinate with outside physicians or surgeons to prevent interuptions. ARMS providers typically schedule hours 1 or 2 times per week at assisted living locations, and an ARMS provider is available on-call 24 hours per day, 7 days per week, to address urgent medical issues.